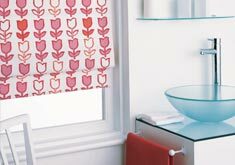 Chic Blinds is a 2 generation family business that has been trading for over 25 years (Established 1990) and has completed over 50000 contracts in the domestic and commercial markets. Chic is "Committed to Customer satisfaction? in all aspects of it's operation. Potential customers must always be respected, welcomed and never feel in any way pressurised at any stage from initial contact through to quotation. The quality of the product and fitting standards should be of the highest order and backed by first class after sales service whenever required. All staff are trained to understand and support this company philosophy. 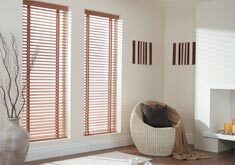 Initially Chic offered a range of vertical, roller and aluminium venetian blinds. 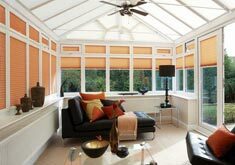 During the first year of operation Chic introduced pleated blinds and became one of the first companies in the country to specialise in the manufacture of conservatory roof blinds. 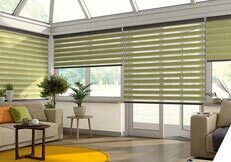 In line with our policy of constantly keeping up with market trends Chic has subsequently added to it's product range by introducing awnings, canopies, roman blinds, panel blinds, Perfect Fit blind system, internal shutters and most recently the addition of the Lite'n Shade blind which has been extremely well received. 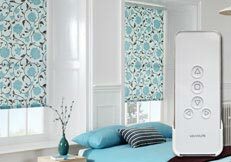 During recent years we seen an increasing demand for automation with remote control touch of a button systems and controls where blinds will open and close automatically based on time of day or the level of daylight. In the past 90% of Chic?s operation has been within the area extending from Carmarthen to Port Talbot. With the introduction of products such as sun awnings, conservatory roof blinds, and shutters the operation has extended to cover Haverfordwest and Cardigan in West Wales but extending across South Wales to include the Vale of Glamorgan and Cardiff. Chic has completed many commercial contracts in schools, hospitals, police authorities, and for builders, developers, hotels, restaurants and many leading industrial and commercial organisations. Chic offers a range of products with specifications ideally suitable for commercial application including fire rated, dim out, anti glare, blackout or anti MRSA fabrics. 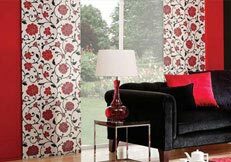 Chic supplies an increasing number of interior designers, carpet suppliers, window and conservatory companies, shop fitters, builders and retail outlets either on a supply only or supply and fit basis. All enquiries are welcome. The first stage is that we will arrange to visit you at your home or office at a time convenient to yourself including early evening. As our advisors handle multiple enquiries it is not always possible to always be precisely on time but we would always endeavour to arrive within 30 minutes of the appointed time. 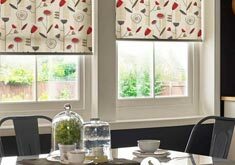 During the visit our trained advisors will measure all windows being considered, give advice regarding the options available, show you fabrics and samples as appropriate, and normally provide an instant quotation. We aim to make the visit as interesting and informative as possible and to never apply sales pressure. As as all our products are purpose made a deposit will be required which can be paid by card, cash or cheque. You will be given a full copy of the order detail and an estimated delivery time. The dimensions taken by our sales advisor would normally be the manufacturing sizes. 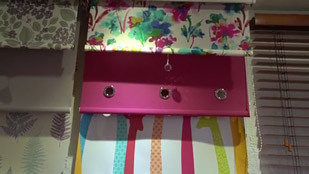 In some instances however depending on the product, or the complexity of fitting our sales advisor may ask for an on site survey to be made by one of our fitters. That being the case you will receive a telephone call from our office to arrange a suitable time for the survey. Once your order is completed we will make contact with you either by telephone or email to arrange a fitting date and time. 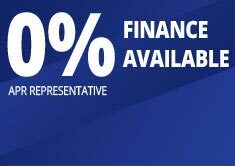 Payment of the balance is due on the day and can be made direct to the fitter or via the office. Once the balance is paid then your products are covered by warranty for both labour and materials. We trust that you will be completely happy with the product and service received and that in future you would be happy to use us again or to recommend friends and family. We appreciate that Chic has only been successful in the past as a result of achieving a high level of customer satisfaction and that this will continue to be the case in the future.